Mémoire Liquide is a fragrance line of bespoke and prêt-à-porter perfumes that launched almost thirty years ago at Fred Segal in Santa Monica. Made of pure perfume essences and essential oils, the line demystifies the art of perfumery by taking the customer on a step-by-step journey to create their own unique scent. With more than 150 note offerings, customers can blend a hand-selected fragrance in-store through an individual consultation. Pre-blended pure essences hand-picked by the fragrance company’s expert perfumers are also available in the Reserve Edition. Mémoire Liquide Reserve Edition is a collection of ready-to-wear eau de parfums that expands beyond the original customized model of Mémoire Liquide Bespoke Perfume counters. With a focus still on the interplay between memory and scent, individual scents were developed to trigger past memories as well as inspire new ones. Five different scents are currently available to choose from: Vacances Liquide, Soleil Liquide, Amour Liquide, Fleur Liquide and Encens Liquide. 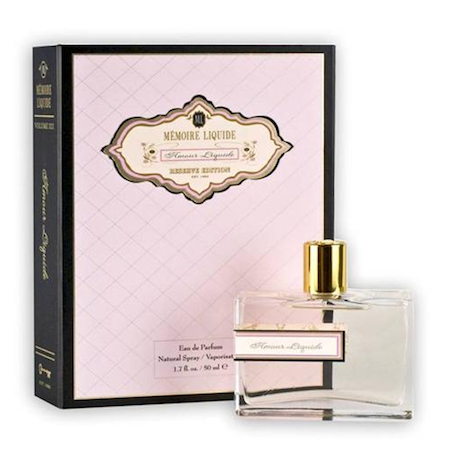 We were sent Mémoire Liquide’s Fleur Liquide and Amour Liquide perfumes and creams to try. Both perfumes are women’s eau de parfum sprays encased in 50ml glass bottles and housed in beautiful boxes. The Fleur Liquide perfume evokes the memory of dew soaked flowers at dawn and night blooming flowers just before sunset. 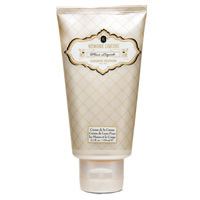 It contains floral scents of Orange Blossom, fresh Mimosa and Night Blooming Jasmine. Mémoire Liquide Amour Liquide is described as the memory of exhilarating, romantic love, at once soul soothing and breathtaking. This is our favorite of the two perfumes as its romantic fragrance contains delicious notes of Pure Madagascar Vanilla, Tonka Bean and Incense. Both hand & body creams pictured below are rich and luxurious in texture with scents of Amour and Fleur, respectively. 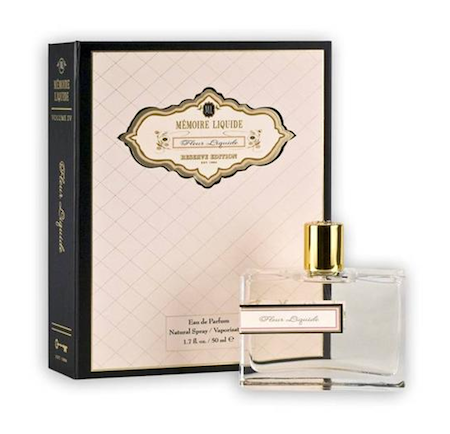 For more information, visit Mémoire Liquide’s official website www.memoireliquideperfume.com, follow them on Twitter @MemoireLiquide, and keep up to date with them on Facebook MemoireLiquide. You can purchase Mémoire Liquide’s Reserve Edition online at Nordstrom and Murale, along with these other retailers.